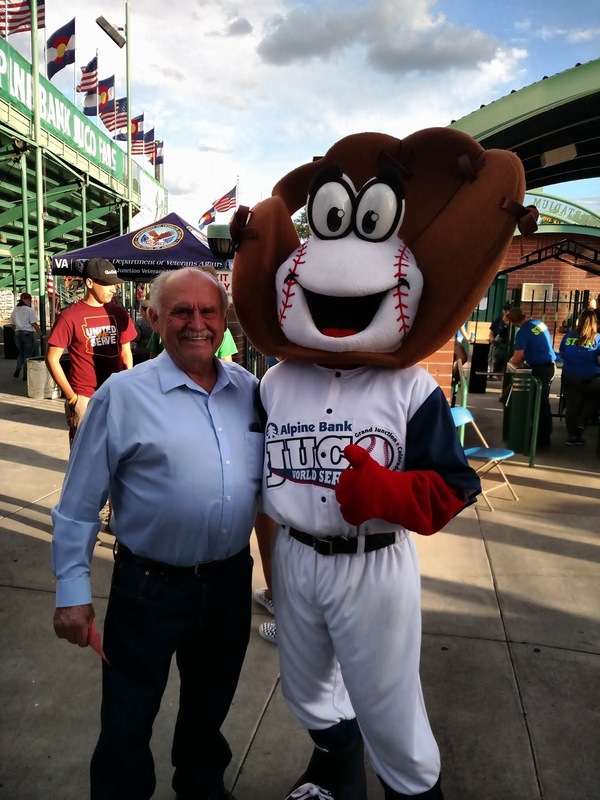 Mesa County Commissioner John Justman helped give out free water vouchers to veterans at the Memorial Day JUCO game. 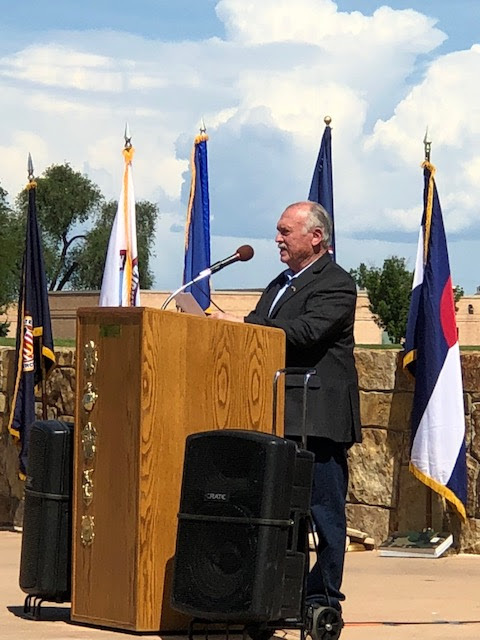 Commissioner John Justman spoke at the Memorial Day event at the Grand Junction Veteran's Memorial Cemetery honoring those who have served in the armed forces. Con-Sy, Inc., a Grand Junction construction company, sets steel plate girders for the new bridge being constructed near Collbran on 64.3 Road, which is approximately six miles to the east of the Town of Collbran. The 64.3 Road project is comprised of roadway improvements and the replacement of a functionally obsolete bridge crossing Buzzard Creek. The project will also eliminate some of the sharp curves and steep grades of the current route. 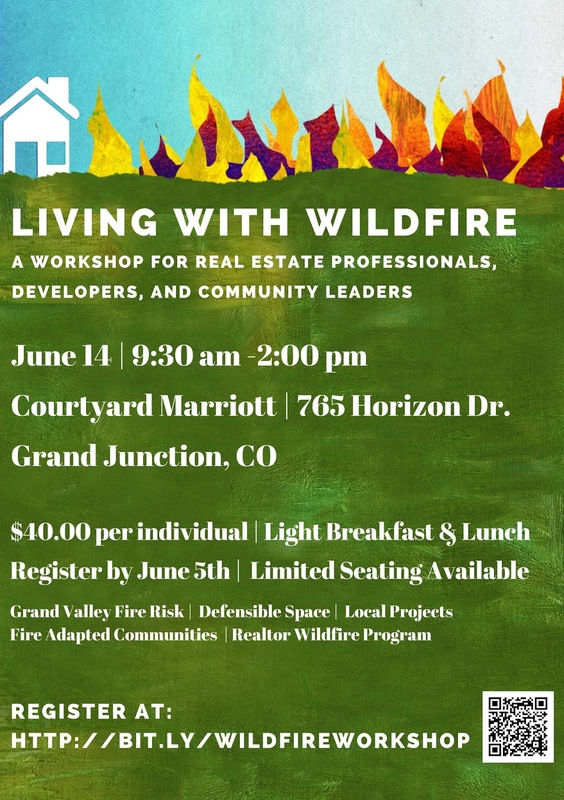 This $4.9 million project is partially funded by a $2 million Colorado Department of Local Affairs (DOLA) grant. 64.3 Road provides access to significant natural-gas reserves, which makes it a vital route for several oil and gas companies. The 64.3 Road bridge replacement project is expected to be completed by fall 2018. Each spring the Mesa County Solid Waste Management Campus provides facility tours for local elementary school children. Typically they see mostly second-graders, but on occasion, they have older kids from fourth grade, seventh grade, on up to college sophomores. Last Tuesday was the last tour for grade-schoolers for this school year. Mesa County Solid Waste Management receives thank you cards from grade-schoolers who visited the landfill this spring. Kids enjoy touring the Mesa County Solid Waste Campus and staff absolutely loves hosting them. Children are so smart; they often ask great questions that showcase a true comprehension of the activities that take place on the Solid Waste Management Campus. Mesa County staff members believe that community outreach and education is paramount to raising citizens with an awareness of waste and an appreciation for resources. 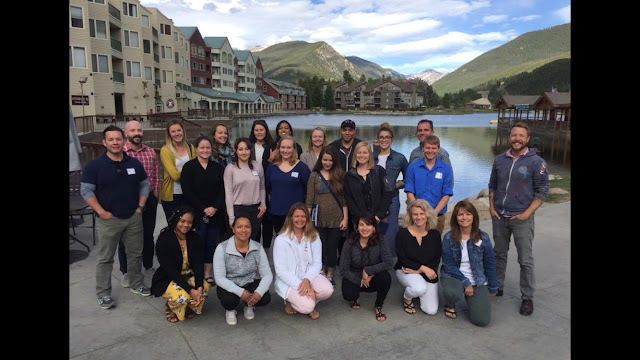 Mesa County Public Health's Katie Smith and Sarah Johnson, along with Carrie Bechtel from FYI - Fruita Youth Initiative and Leslie Eslava from the Riverside Educational Center, joined others from around the state at Rise Above Colorado’s meeting in Keystone on Tuesday. MCPH Health Promotion Specialist Kelsey Fife announces the commuter challenge awards Wednesday night at the Grand Valley Bike Month Celebration. Chris Cutrone with the Colorado State Patrol narcotics team conducted training with K-9 officers at the Mesa County Road and Bridge facility in Whitewater. 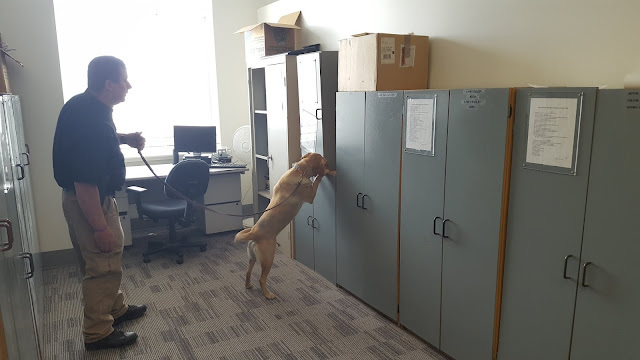 The dogs were tested on accuracy at locating a scent they were supposed to find. Meanwhile, the trainer observed the dog's individual behaviors to learn how the dog acts when it has found the object. Tim Long, Elections and Recording Manager and Jacob Worth, Elections Intern test the voting equipment. Mesa County Elections performed a Logic and Accuracy (L&A) test Wednesday, May 30, from 9 a.m. to 12 p.m. at the Mesa County Elections office, 200 S. Spruce St.
L&A test is designed to verify that the ballot counting program for the election is properly reading and tabulating votes. 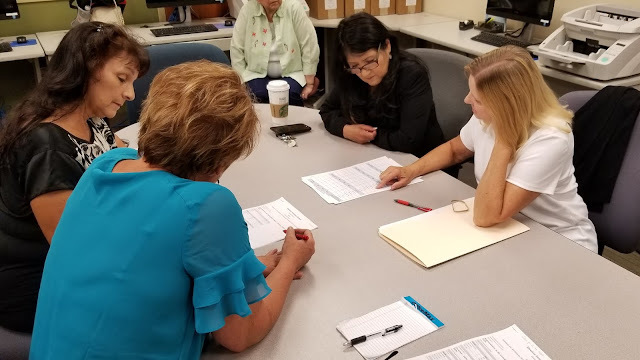 Mesa County Clerk and Recorder Sheila Reiner, left, sits with representatives from the county's Republican and Democratic parties as they commence the test to verify the integrity of the voting equipment. Mesa County Clerk and Recorder Sheila Reiner (right) and Mesa County Elections Director Tim Long (center) and representatives from the county's Democratic and Republican parties start the L&A test. Mesa County Elections Director Tim Long, left, and Clerk Sheila Reiner, right, host the L&A test, which is the first step in Election's verification process. This is the first election where non-affiliated voters are able to vote in the primaries. Wednesday evening, Mesa County Treasurer Janice Rich gave Inside Mesa County (IMC) class participants an up-close look at property taxes and the internal operations of her office as mandated by state law. 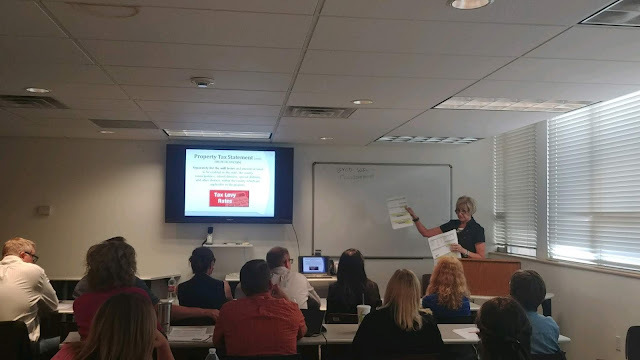 Finance Director Pam Noonan explains the inner working of the finance department to the IMC class. Treasurer Janice Rich, left, and Finance Director Pam Noonan pause for a picture after presenting to the IMC class. 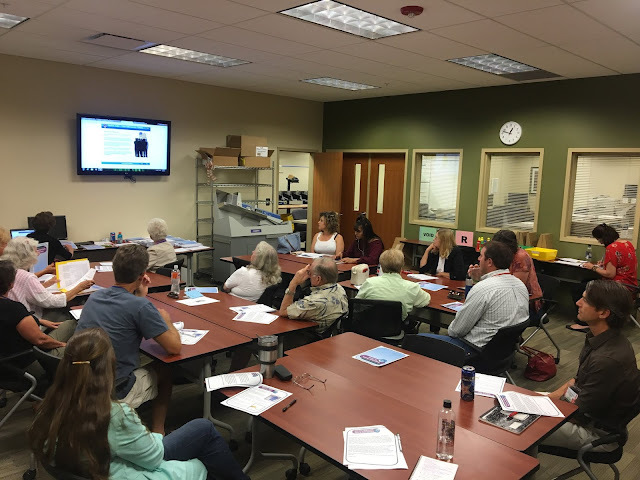 Elections Manager Patti Inscho trains election judges on the mail ballot room processes and procedures. On Tuesday, May 29, 2018, Mesa County and contractor United Companies begun a bike/pedestrian facility project CO 340, west of Grand Junction in Mesa County, between mile point (MP) 9.6 to 10.5. The anticipated completion date is October 2018. 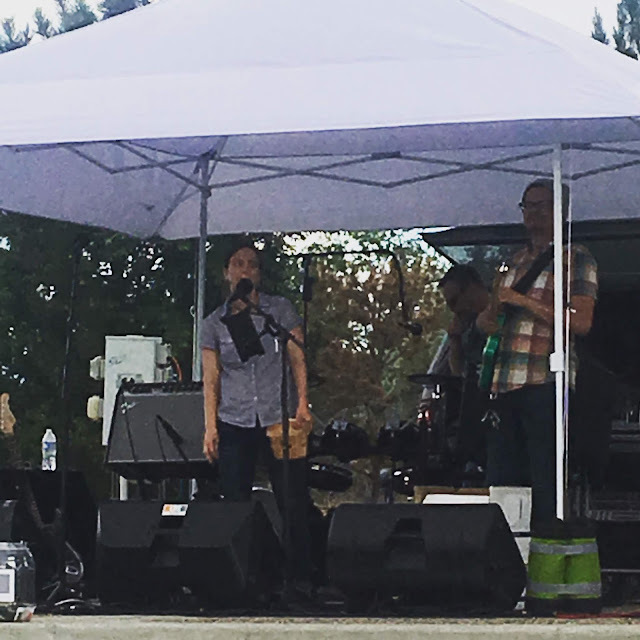 The components of this $1 million project include construction of a five-foot-wide concrete path, curb and gutter, culvert work, landscaping, fencing, site restoration and seeding. The project will be on the north side of CO 340 between Vista Grande Drive and Kansas Ave. The new sidewalk will help to further improve the bike/pedestrian access and interconnectivity in the area. Motorists can expect a westbound shoulder closure with possible east and westbound one-lane alternating traffic and minimal delays. The project will be in operation Monday - Friday 9:00 am - 5:00 pm. For additional information about this project, call the project information line at (970) 456-1361 email the team at co340sidewalk@gmail.com or visit https://www.codot.gov/projects/co-340-bike-pedestrian-improvements. To sign up to receive project information and/or lane closure updates on state highways in the area of your choice, visit CDOT’s website at www.codot.gov and choose the envelope icon at the bottom of the webpage. Or, to see CDOT’s lane closure reports for projects statewide, visit www.codot.gov/travel/scheduled-lane-closures.html.